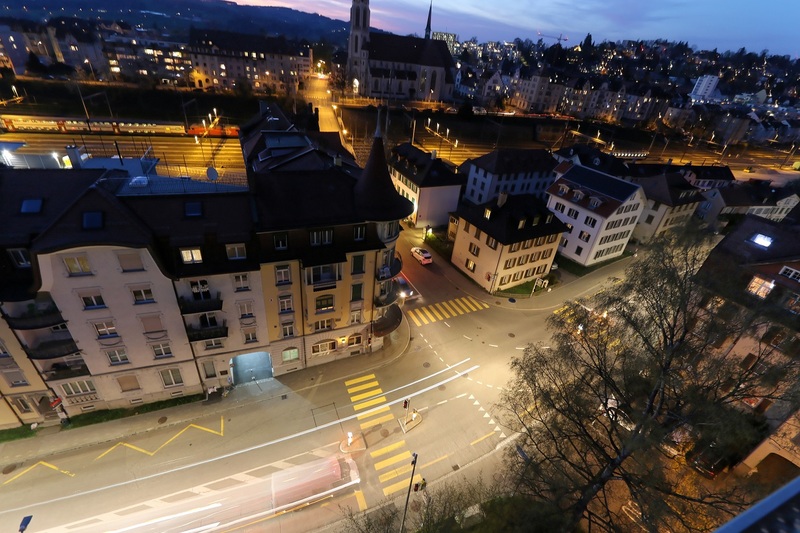 The City of St. Gallen, Switzerland, has kicked-off a Smart Lighting project which is expected to save up to 65% of power thanks to the implementation of energy-efficient LED luminaires and an advanced remote control system. Technology partners Paradox Engineering SA and Osram Lighting AG worked with St. Gallen Stadtwerke to design and develop the new infrastructure, now being piloted along Oberstrasse. Nearly 60 SL20 LED luminaires by Osram were installed on the road and connected to Paradox Engineering’s PE Smart Urban Network platform for remote monitoring and control. This solution allows St. Gallen Stadtwerke to manage the entire streetlight area from a web-based console, switching on/off single or grouped lamps, varying light intensity whenever needed and tracking lamps performance. Customized lighting patterns can also be defined to schedule streetlights operations according to daytime and weekdays. Moreover, the lighting system also features an optical sensor that detects traffic intensity and triggers luminaires to automatically dim light up and down upon vehicle transit. Thank to this feature, light intensity is automatically adapted to traffic volumes, limiting waste of power and emissions when only a few cars and trucks pass by, as typically happens at night. The combination of Osram’s LED luminaires and Paradox Engineering’s network platform increases energy saving up to 65%, if compared with traditional streetlight architectures.